Previous Post:ELEZIONE DIRETTA DEL SINDACO E DEL CONSIGLIO COMUNALE NELLE CONSULTAZIONI DEL 25 MAGGIO 2014. MANIFESTO DEGLI ELETTI. 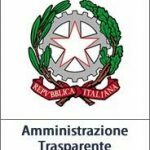 Next Post:AVVISO DI ERP-LUCCA PER VENDITA APPARTAMENTI.